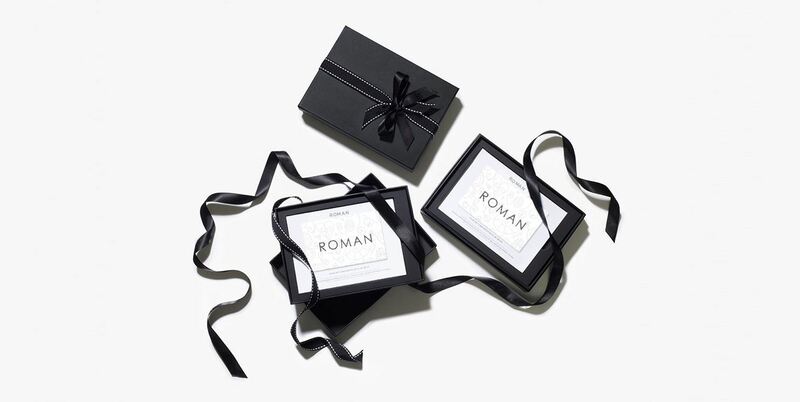 pass to the outfit of her dreams with a ROMAN gift card. 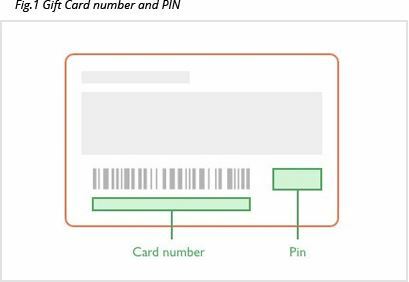 The 16 digit number on the back of your card. 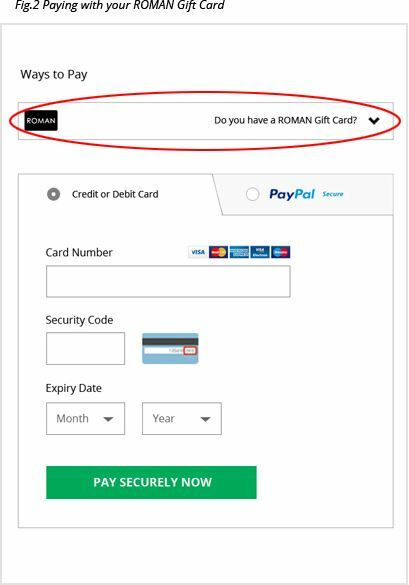 Where can I use a ROMAN Gift card? You cannot use giftcards in Roman concessions within department stores. "Do you have a ROMAN Gift Card?" ( See figure 2 ). For multiple gift cards, enter one set of codes at a time. After entering the gift card codes, your order balance will be automatically updated with credit to the value of the gift card(s). If there's any balance to pay, you can use a debit / credit card or PayPal in the usual way. Can I use my gift card over the telephone? Yes, gift cards can be redeemed for orders placed over the telephone. We will simply ask you at the time of the purchase for the 16 digit gift card number and the PIN number. The PIN number is on the back of the gift card and is visible after removing the silver scratch panel.